Ever Been in a Knife Fight with an Octopus? Think you could take on this flopping, knife-wielding tentacle? The post Ever Been in a Knife Fight with an Octopus? appeared first on Make: DIY Projects, How-Tos, Electronics, Crafts and Ideas for Makers. If you've ever been to a Maker Faire, you know its as much of an art show as a technology showcase. Builders debut everything from robotic bands to educational circuitry kits at these events, and the NYC Museum of Modern Art is about to immortalize five maker products into its permanent collection. Early next year, the Arduino, Ototo, Makey Makey, Colour Chaser and a DIY Gamer Kit will be on display in the MoMA's design galleries, serving as representatives of the maker culture to the museum's visitors. MoMA is excited about the new additions, but it's not the first time technology has found its way into the museum's collection: in 2011 both Botanicalls and Little Bits found its way into MoMA's galleries. Check out the announcement at the source link below. 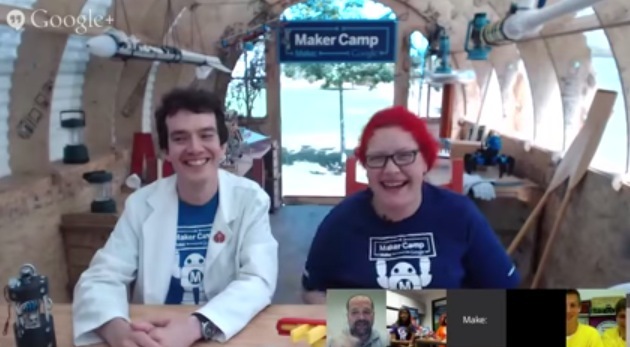 Maker Camp is a free summer camp from Make and Google for building, tinkering and exploring. Back in July Massimo was invited for a live streaming interview to talk about Arduino (starting at 11’20”) together with Ayah Bdeir , founder of the littleBits electronic components. Enjoy the video! 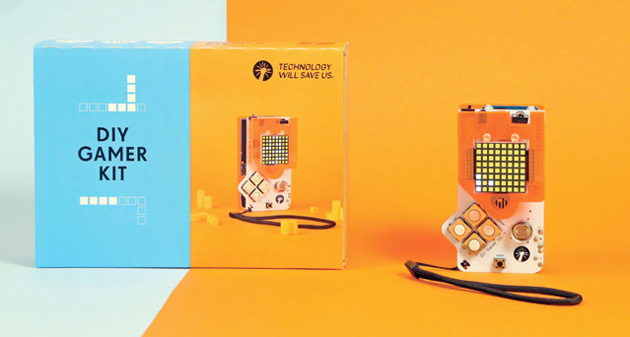 LittleBits and Arduino Giveaway – Win a collection of Kits! To celebrate the new littleBits ArduinoAtHeart Module, littleBits has partnered with Arduino for a huge give away! Entering is easy, just sign up on this page for your chance to win an incredible littleBits + Arduino collection. 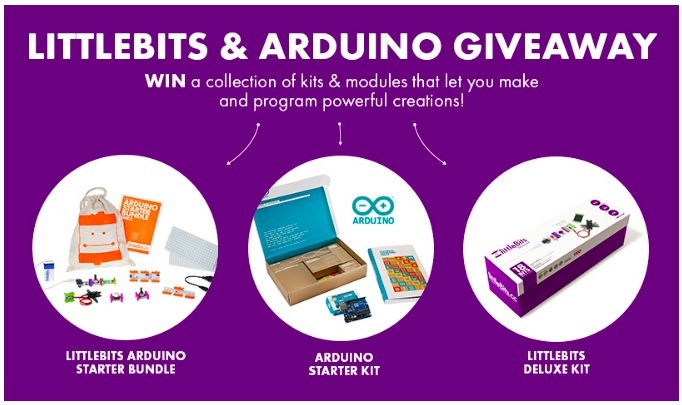 One lucky winner will receive a littleBits Deluxe Kit, littleBits Arduino Starter Bundle, and Arduino Starter Kit. All together a $400 value! The contest started Monday, June the 9th and runs through June 22nd, so enter soon! The winner will be announced on or before June 27th. 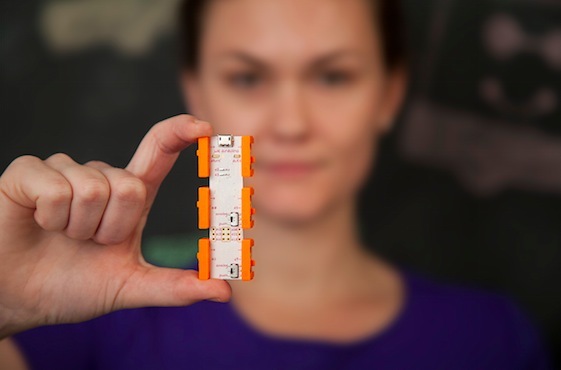 There’s a new Arduino At Heart: littleBits Arduino Module! We are excited to announce that littleBits joined the Arduino At Heart Program to easily incorporate programming into littleBits circuits! 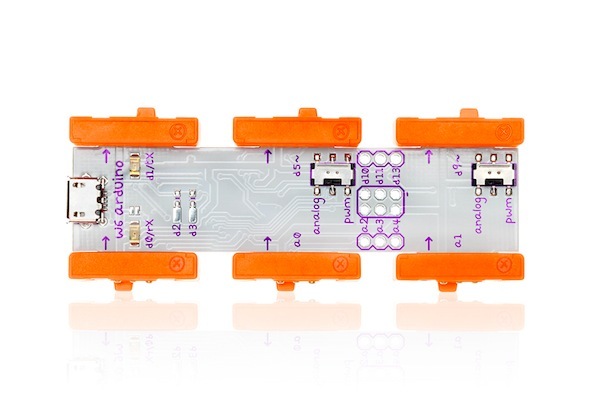 littleBits Arduino Module is everything you know and love about Arduino without the breadboarding, soldering or wiring. 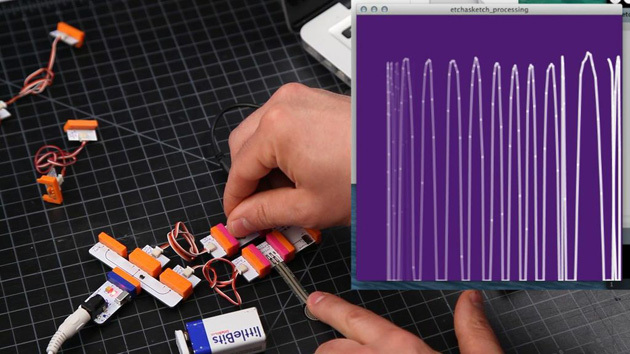 littleBits takes care of the electronics, while you focus on the code. • Getting started with 10 sketches, including Analog Pong, Tone Libraries and more! Inventing on this platform requires the user to be able to debug through electronics issues as well as software bugs. For example, instead of having to solder together a complete circuit of power, ground, resistors and LEDs, a user can simply snap a power and an LED module to the Arduino module and dive straight into programming. This will make hardware innovation even more friendly for beginners, and further lower the entry to physical computation. Take a look at the video and discover what you could do with it! The snap-together circuits are now programmable thanks to the new Arduino module.